Published June 27, 2015 at 385 × 500 in Sonic Lunch. The Ann Arbor Observer June , 2014. 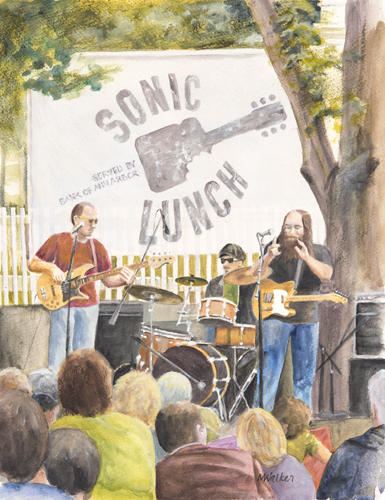 13″ x 10″ acrylic painting of a Sonic Lunch free concert performed at noon on Thursdays in Ann Arbor, MI during the summer. This one features Laith Al Saadi, finalist on “The Voice” in 2016.